The concept of a drone came into light in 1850’s as unmanned aerial vehicle when it was first used by Austria. The basic target was to reach those areas which were hard for humans to reach. Two world wars are the proof of the success of drones in military operations. Everywhere you read about drones, you will get to know that its past is somehow linked with war. The perception of drones only used for war changed when carrying capabilities of drones were enlightened. 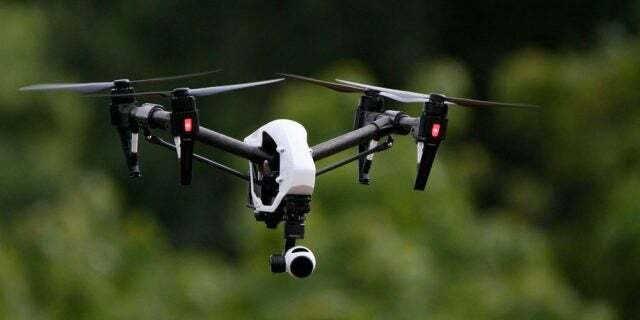 According to the report by Goldman Sachs, drone industry has potential to reach a market value of 100 billion USD by 2020 and that’s huge. Keeping military share aside, commercial businesses will acquire some 13 percent of the total share. That 13 percent is equal to 14-15 billion USD roughly. But what kind of commercial businesses we are talking about here? Some of the most common examples are aerial surveying and aerial media monitoring. 3D Robotics Solo Drone is a very good example of it. 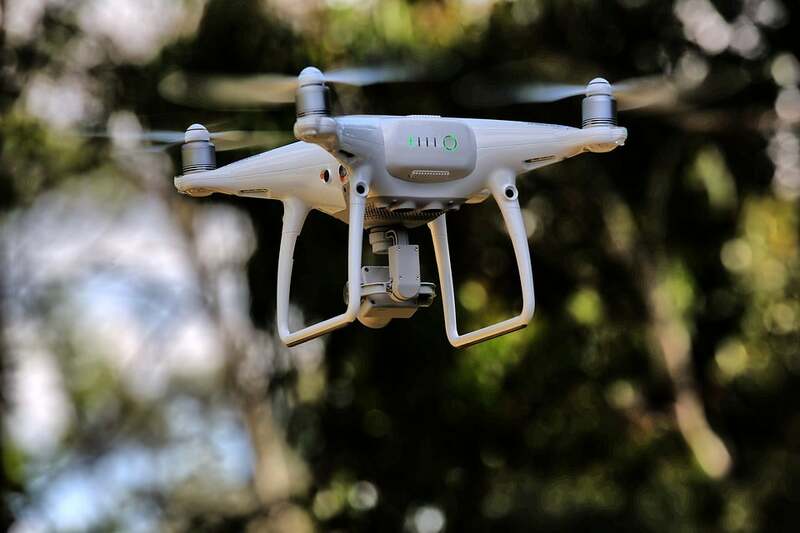 It has a variety of sensors that make it an excellent drone for aerial photography and videography. It’s necessary to understand the concept of commercial business before discussing the role of drone in its revolution. Consider a Pizza delivering service which utilizes vehicles such as motorbike or car to deliver pizza. How about replacing it with a drone? At first, it seems way too much expensive but let’s consider the problems with a road vehicle. A motorbike may get stuck in the traffic or it can get late due to other issues. Contrary to it, the drone can easily bypass the traffic and reach the target within the expected time. This will lead to faster deliveries even in far-off areas.This model of business transportation was first utilized by Dominos in New Zealand. Using a drone for pizza delivery makes it clear that drones are the future of commercial businesses. 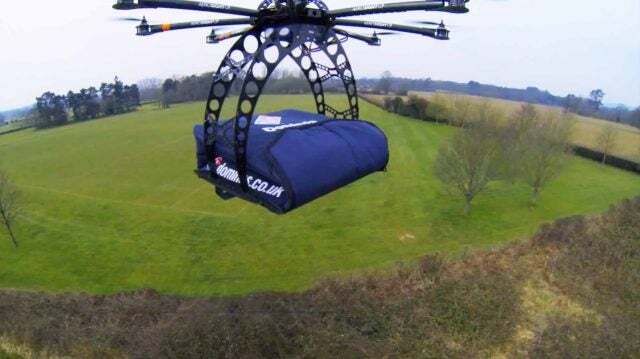 A very similar initiative is taken by Amazon under the name of Amazon Prime Air which plans to deliver the product to customer within 30 minutes. These drones are guided drones and are at test level at the moment of writing. 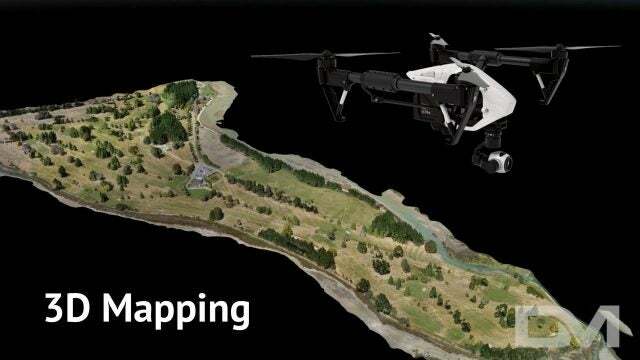 3D Mapping is one of the areas in which drones has made great advancements. A high-quality camera is adjusted in the assembly of such drones. Such drones are used to survey sites and take pictures of that area using the camera. 3D mapping by drone solves the problem of physical presence. One doesn’t need to visit the target area to survey the site. The drone along with camera takes care of the whole thing. Furthermore, it can get to those areas too which aren’t accessible to humans easily. For example, caves and over the river areas can easily be mapped this way. At this point, drones face some resistance in terms of flight range and battery but researchers are working to increase its capabilities. Farming and agriculture sectors are equipped with mechanical technologies already and they are making good use of them. However, most recently a new field has risen in agriculture namely precision agriculture. Precision agriculture is the modern technique of farm management that employ drones for enhancement of agricultural products. For example, drones can help farmers in real-time monitoring of their crops. Other than that, insecticides and pesticides can be sprayed into fields using drones. At this point, equipping farmers with drone technology is a major barrier. Experts see a bright future ahead for agriculture sector but farmers need some time to understand how these drones can reduce labor work. Honey crop Agdrone is a powerful drone for farming services as it can do some noteworthy tasks such as spraying insecticides and fertilizers and monitoring the crops. AThe agricultural drone industry is expected to grow up to 33 billion USD by the end of 2020. In the meantime, farmers will be educated on its use and advantages. Modern technologies have taken media industry to a new level. Use of Helicam (combination of helicopter and camera) is part of everyday reporting. It is pretty much evident that camera is an essential component of every drone whether it is a delivery drone or agricultural drone. In media industry drone cameras are of even more importance. Most recently, NYT used drones for aerial journalism in Aleppo which was under curfew at that time. Drones recorded videos and pictures and sent them back to headquarters. A similar situation also exists in the film industry. In fact, most of our drones draw inspiration from films and movies. FAA has defined the terms and conditions for drones to be used for this purpose such as speed limit of 100 Km/hr and height of some 400 meters. For now, they aren’t being used as much as expected but recently their demand has risen by great miles. Furthermore, drones are inexpensive to use for film shooting as compared to rent-a-helicopter when we compare the cost. In order to understand data transmission, just consider the role of servers. You see we can’t have servers all across the globe at the very moment. So we need portable servers for transmission of our data. A very similar concept exists for Google Station in which Google aims to provide free Wi-Fi access to far off areas. Drones play a very important role here. These drones can act as portable and temporary servers above the ground. They can move to different areas and thus generate Wi-Fi. Wi-Fi is just an example but data transmission is a broad term. Above mentioned fields are the fastest growing drone technology sectors. Another field might be a little bit slower but they can make a huge upset in future. Some of them are relief services, weather tracking, and advertisement. What Exactly Is the Future of Drones? Drones will become a gadget of daily use in corporate sectors. 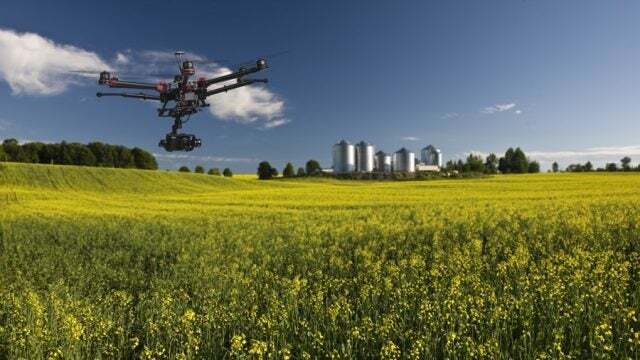 Agriculture and media industry is expected to have drones as their major tools. 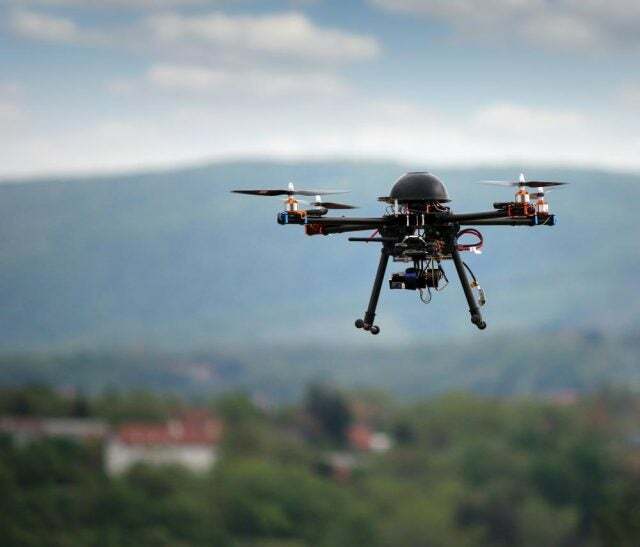 Commercial drones can grab up to 60 percent of revenue by 2020. Drone hardware will advance in terms of range and battery life. Furthermore, carrying capacity of the drone is expected to increase by manifolds. Multi-tasking drones are a project of 2020. These drones would be able to survey sites and do some other tasks simultaneously. GPS guided drones will lead to human free services. Report by IA suggests that 12k autonomous to be performing their services by 2022. 2017 is almost at the end and I really don’t think 2020 is very far when we talk about the scope of these projects. Drones have some problems related to design and capabilities, range issues, battery capacity, regulations, and the list goes on, but we will soon see more businesses using their capabilities. Mohammad Abid has been hooked on tech ever since he tried a Compaq PC clone when he was five. He's big on mobile and is one of those precious few people who wears his smartwatch with pride. He's also an unapologetic Canadian: Don't be surprised if you get an earful about poutine or the headaches with Canadian carriers.